Oil in London fell to near $60 a barrel as the market appeared to disagree with Saudi Arabia’s energy minister, who said output cuts of 1 million barrels a day from OPEC and its allies were adequate to balance the market. Brent futures earlier fell as much as 5.2%, before paring some of the losses. There is currently no agreement among producers to cut output, Saudi Arabia’s oil minister Khalid Al-Falih told reporters in Vienna, where the Organisation of Petroleum Exporting Countries is meeting. The sell-off gathered pace amid a decline in stock markets and continued trade tensions between the US and China. 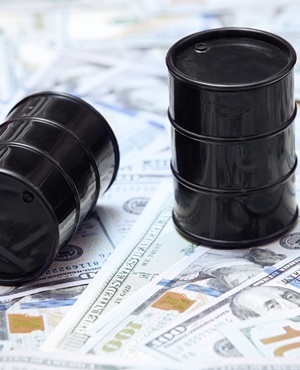 Earlier in the week oil was starting to recover from some of last month’s losses after Russian President Vladimir Putin and Saudi Crown Prince Mohammed bin Salman said they agreed to extend their deal to manage the oil market into 2019. Traders are waiting to see whether OPEC and its allies including Russia can put together a final pact at meetings this week, after US President Trump renewed his call for the group not to curb supplies and to keep prices low. "The market is clearly uncertain that there will be an adequate OPEC production cut agreement at the end of the day," said Hans Van Cleef, senior energy economist at ABN Amro Bank. Market pessimism is growing as "different energy ministers are giving mixed messages on the expected or preferred outcome," he said. Brent for February settlement was down $1.46 to $60.10 at 8:31 am in New York, after falling as much as $3.20 earlier. It declined 0.8% on Wednesday. The global benchmark crude traded at an $8.44 premium to WTI for the same month. West Texas Intermediate for January delivery traded down $1.42 at $51.47 a barrel on the New York Mercantile Exchange, after dropping 5% earlier. The contract fell 36 cents to $52.89 on Wednesday. Total volume traded was more than double than the 100-day average. Saudi Arabia’s Al-Falih said any production cut from the producer alliance known as OPEC+ shouldn’t be "overly large," with a reduction of about 1 million barrels a day being adequate. His comments follow a day of talks on Wednesday that concluded with a panel, led by Saudi Arabia and Russia, recommending an output reduction lasting six months, Oman’s Oil Minister Mohammed Al Rumhy told reporters. Still, Trump posted a tweet on Wednesday saying the world "does not want to see, or need, higher oil prices." Saudi Arabia may not be able to defy Trump’s demand for lower prices, after the killing of Jamal Khashoggi unleashed a fusillade of criticism from American lawmakers, leaving the president as one of Prince Mohammed’s few remaining allies in Washington. Meanwhile, US crude stockpiles rose 5.36 million barrels last week, the American Petroleum Institute was said to report. Energy Information Administration data due Thursday will probably show nationwide inventories dropped 2 million barrels last week, according to a Bloomberg survey of analysts.